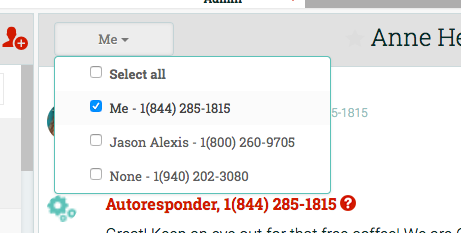 If you are using multiple phone numbers, you can easily filter the inbox and the conversation box by phone number. 2. By default, “select all” will be chosen. 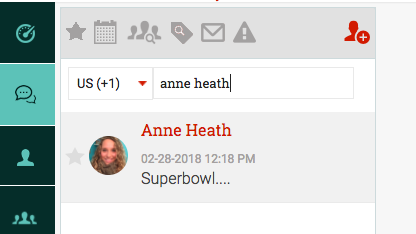 Click “select all” to unselect all of the boxes, and then choose which number you want to filter the conversation by. This not only filters the current conversation box you are in, but also the inbox to the left. If you have multiple numbers, this allows you to see only the messages that were sent and received for that number.